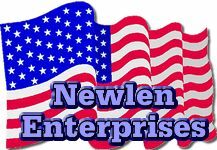 Newlen Enterprises has been working with small businesses in planning and automation for more than a decade. We can help you write a business plan or prepare an automation plan. Our approach is to create a realistic, doable plan with identified milestones, key issues, assigned responsibilities, reasonable budgets, and lots of checklists to make it happen.